First of all, what is the job of your college application? To demonstrate a variety of amazing things about you: strengths, passions and anything else that shows you'd be a fantastic and valuable contribution to any college campus. So how do you make sure your app is doing its job? I’ll be the first in my family to attend college. Family is super duper important to me. I love running cross-country more than anything in the world; it’s the only time I feel truly at peace. I’ve been to 29 countries. See? There are gems in your head. Reach in. a. Which of my gems are clearly demonstrated in my application? b. Which of my gems are kinda’ there but not in a super clear way, and could be made clearer? c. Which gems aren’t there yet, but really should be? Sound like fun? It can be. Try doing it with a friend. Turn it into a game. Need help? Do this: Paste your “Everything I Want Colleges to Know About Me” list and your application (including your main statement, supplements, activities and awards lists) into a Google doc and share it with someone you trust. 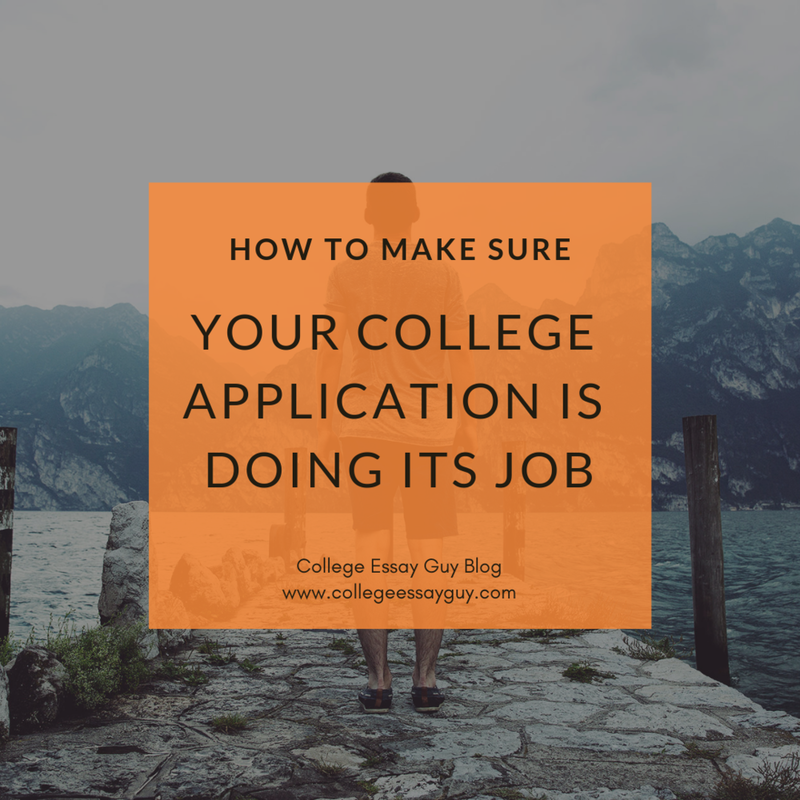 Tell that person you’re trying to figure out if everything on your “Everything I Want Colleges to Know About Me” list (aka your list of “gems”) is reflected in your application. 1. Which of my gems are really clear in the application? 2. Which of my gems are there but not quite clear yet, and could be made clearer? 3. Which are not there yet, but could or should be? Want an example of an application that does its job?